While most people understand the harm that mosquitoes can cause, some people in the rural areas have accepted the problems caused by mosquitoes as part of the rural life. There are, however, many reasons as to why you in your farm should strive to control mosquitoes. Mosquitoes are disease vectors. 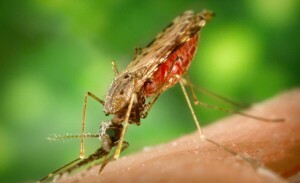 They are, for example, the major carriers of West Nile Virus in California and malaria parasites within the tropics. They also attack pets and livestock. Due to the hazards that are associated with mosquitoes, the property values in areas infested with mosquitoes drop significantly. This causes labor problems in such areas. Bacillus thuringiensis israelensis is one of the most commonly used bacteria. The gut of the mosquito larvae activates the bacterial toxin. It is, however, harmful to some organisms such as midges and blackflies. Bacillus sphaericus is another bacterium harmful to mosquitoes. They are available in their live states and are very effective when used to control culicine mosquitoes. Since mosquito larvae develop in water, oil from a biological source can be poured into a water body where the mosquito larvae live. This will ensure that the larvae are deprived of oxygen and will die with time. The Golden Bear Oil is the oil that is used currently. Some of the chemical substances can mimic natural substances that halt growth. Methoprene is one such chemical which when applied causes delayed development of the larvae. If the mosquitoes do not mature, they cannot reproduce. There is currently not a very effective biological method for adult mosquito control. In as much as dragonflies, bats, swallows, and damselflies feed on adult mosquitoes, they cannot reduce mosquito populations to desirable levels. Having some swallow nests or bat nests on the farm is, however, desirable as every small step is helpful. This entry was posted in Farm Pest Control and tagged farms, mosquitoes, pest control, pests by admin. Bookmark the permalink.